Beech Creek offers the best of all worlds with its quiet, secluded allure and its convenient location to many of North Carolina's most exciting mountain properties. 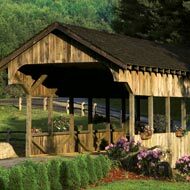 Nestled between the Beech Creek Ridge and Sheppard Mountain, bordering the Pisgah National Forest, we offer a gated community, creek-front luxury homes and mountain-view home sites all just minutes from Roan Mountain State Park, Grandfather Mountain, the Appalachian Trail and Linville Falls. 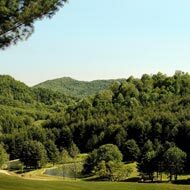 Beech Creek offers serene mountain community properties and a friendly gated community for those who are seeking solitude and quiet with all the necessary modern amenities. Imagine waking up everyday and seeing picturesque views replete with fresh mountain air within this, North Carolina community. You and your family can enjoy your luxury home in some of the most coveted NC Mountain real estate. The best part is that all homesites within our gated community provide some of the most exceptional mountain views in western North Carolina. As part of the tiny community of Buladean, residents of Beech Creek are just a stone's throw from the area's most popular activities such as hiking, mountain biking, horseback riding, canoe trips, whitewater rafting on the Nolichucky River, and downhill skiing. In addition, the famed Biltmore House in Asheville, North Carolina is a mere 60 miles southwest making for the perfect getaway. The region is also home to nearly 100 artisans, galleries and studios. For more information about Beech Creek, click here.